As this discipleship series nears completion I wanted to give you some resources to use to assist and equip you with the necessary tools to add your discipleship ministry. In order to accomplish this monumental task, I cast a wide net calling to my aid all 1,500 of my Facebook connections. So the call went, please send me your best discipleship tools. Sounds like a great idea right? Well, the results of my cry for help resulted in disappointing mixed results. Some respondents gave me really good material that I did not know existed, other people said, use the Bible or Luther’s Small Catechism. While any worthwhile discipleship program better contain the Bible as the foundation for content. And Luther’s Small Catechism is a great resource it is often one that is taught only once or twice in a person’s lifetime? My sincere question to some are how do you make the entire Bible a discipleship program? What I mean by that is have you developed a plan to work your members through the Bible in such a way that it strengthens their walk with God. I could never get more than ten percent of my members to attend more than one Bible class a year, let alone walk through the entire Bible. Nevertheless, this exercise revealed one major revelation, the term discipleship is squishy. If you ask 10 pastors to define it you would get ten different answers. However, the way people define it determines what resources would be most effective. With that revelation, it makes it difficult to provide people with useful resources. Well, the results of my cry for help resulted in disappointing mixed results. Some respondents gave me really good material that I did not know existed, other people said, tripe things use the Bible or Luther’s Small Catechism. While any discipleship program better contain the Bible as the foundation for content. How do you make the entire Bible a discipleship program? No one could answer that question. My frustration with that response is, I could not tell if people were being sincere or sarcastic. Nevertheless, this exercise revealed one major revelation, the term discipleship is squishy. If you ask 10 pastors to define it you would get ten different answers. However, the way people define it determines what resources would be most effective. With that revelation, it makes it difficult to provide people with useful resources. Armed with this new found information this post will attempt to help you develop a discipleship plan. Determine Your Definition of Discipleship. Is discipleship for your congregation at 12-week adult instruction class followed up with the Holy Spirit working through the power of God’s word in preaching and teaching his disciples? Or is your view that discipleship is more hands on. Do you view it as an ongoing outpouring of God’s Word into the life of believers, through living life with, and equipping your people for mission and ministry? How you define this will determine what kind of resources fit your discipleship plan. Determine What Is Your end goal in Discipleship. Think of your discipleship plan as sort of a church boot camp. What are you equipping and preparing your people for? 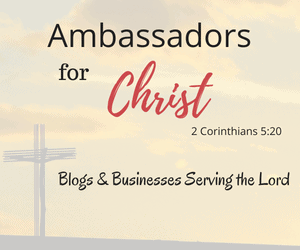 Look at the world around you what tools do your members need to live out their calling as followers of our Lord and Savior Jesus Christ in an ever increasing hostile world? If you are unsure of the end goal Paul gives you some insights into this passage, God’s goal is for the Christian to “become mature, fully grown and measured by the standard of Christ.” For what purpose are we equipping them, so the disciples are not “tossed and blown around by every wind that comes from teaching with deceitful scheming.” If you don’t have an intentional plan to develop the people under your care let me encourage you to do so. The times they are a changing, and we need people well-grounded in God’s word and prepared to stand firm in the midst of opposition. ← What Does God Expect Of Me? I enjoy your ministry here!